THANK YOU FOR INQUIRING ABOUT RACHEL'S GIFT BEREAVEMENT SERVICES ​FOR YOUR FACILITY! ​We are pleased you are exploring improving and/or expanding bereavement care for your families and honored you have chosen to explore our services. ​As far as we have found, we are the only infant bereavement service that offers all education and all materials and patient supplies in one place! Our goal is to make this program as easy as possible for your staff and provide education that will make them feel more confident in their patient care with these unique patients. We will be in touch with you shortly to answer any questions you may have and to discuss the next step if your facility remains interested in moving forward. To give you an idea of the initial set up costs, below is a scale based on the size of your hospital. This covers our costs and enables us to supply all of your bereavement supplies, materials, and patient keepsake boxes for the duration of our partnership at no additional cost to you or your patients. Price includes all travel arrangements, instructor fees, student materials for all of your staff, and train the trainer materials. *If a multi facility system conducts individual trainings for each facility resulting in multiple trips, they will be treated as individual hospitals and will be charged according to the scale above. ^If a multi facility system conducts one training for multiple facilities resulting in one trip, they will be charged as one facility according to the scale for the total number of beds of participating facilities combined. "As a system, we are overwhelmed by the generosity and big hearts of your organization! Your amazing gift of healing and honoring of our families and precious babies is immeasurable. Our team is passionately committed to work with you and support Rachel’s Gift how best we can." 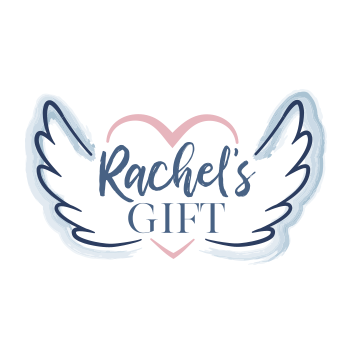 "I just wanted to give you feedback about the Bereavement Classes and Rachel's Gift boxes and services.... The staff have been talking about it nonstop. They absolutely love everything about it. There is so much buzz that word has reached its way across our health care system. L&D can't wait to start it and our sisters from North and South have been calling asking about it. All want to be part of further training! Thanks for having such a fabulous program!!!!" "We use Rachel's Gift boxes for all of our patients that suffer the loss of their baby. Before, we could only give them "keepsakes" like baby arm bands and foot prints. Now being able to give them literature to read and all the other items and services you provide is priceless. Thanks for all you do."